Your rain gutters are components that show obvious signs when they need a bit more care. For instance, leakages and breakages in your gutter system often indicate the need for replacement. However, it might be challenging to choose a new one due to the wide array of options. 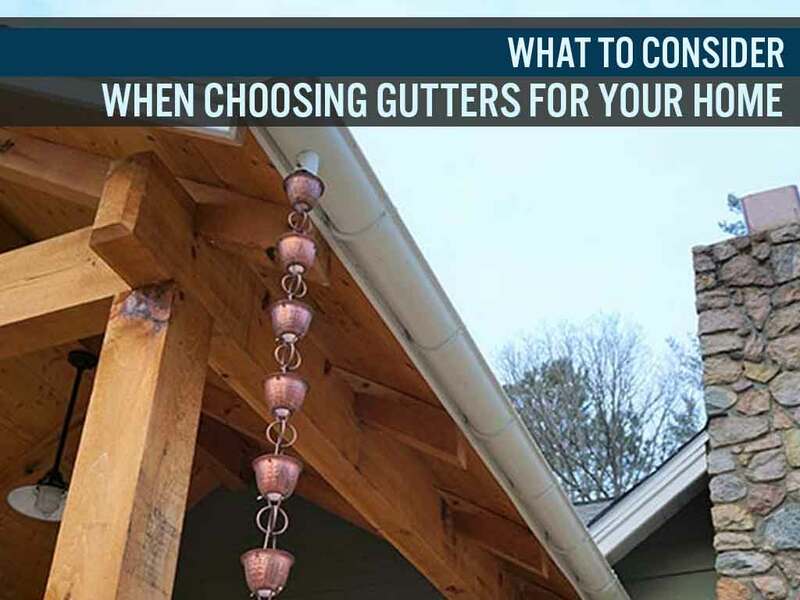 Advantage Seamless Gutters, one of the premier local gutter installers in the area, discusses what to look for when picking the right gutters. Do not settle for an economical yet subpar gutter system that won’t perform as promised. When choosing one for your upcoming installation project, you need to prioritize quality over expenses. This way, you’ll get long-term protection without worrying about faulty manufacturing or design, which can often lead to premature replacement or costly repairs. Unlike sectional gutters, a seamless gutter system has straight sections that only connect at the corners and the downspouts. This design helps eliminate leaks common in traditional gutters. Plus, this type of gutter system is easier to maintain as it barely uses sealants. Some homeowners fear that replacing their gutters can compromise their home’s curb appeal. That’s because they may not find the perfect gutter systems to match their exterior. By working with a local gutter company, it will be much easier to decide which color and style best suit your home. Is it enough to replace your old gutters to protect your home’s foundation? While you might get a high-quality gutter system, it remains susceptible to damage without any form of protection. This is why it’s a smart move to invest in a gutter protection system to prevent the dangers of clogging. Advantage Seamless Gutters provides professional gutter replacement service to help safeguard your home from water damage. Call us today at (218) 212-1818. We serve residents of Baxter, Brainerd and other nearby areas in MN.